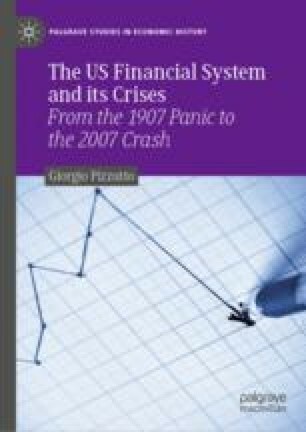 The epicenter of the crisis lay in the breakdown of the financial intermediation process managed by investment banks, combined with the monetary policy decisions altering the interest rate. In order to work properly, financial intermediation requires a process that is capable of guaranteeing profitability. The reduction in interest rates to very low levels created the premises to begin securitizing illiquid assets in pursuit of the yields sought for by all financial institutions. Current macroeconomic models assume that the interest rate regulates the intertemporal distribution of consumption and ensures the equilibrium of the goods market in the present and in the future. In our earlier analysis, we highlighted the fact that it is not the purpose of the financial market to equilibrate the consumer market. The financial market serves to transform debt and credit into terms of maturity and risk. It depends on the central bank and commercial banks, which have an unlimited potential to generate credit and to do so in a market insured by the value of the stock of assets that can be transferred as collateral. The rise of interest rates and risk premiums interrupted this process on the ABCP market. The dealers did not merely finance their own positions, but played an intermediation role, buying debt on the repo market and using collateralized loans to finance other operators, hedge funds in particular. The desperate search for collateral by these funds and by the security lenders meant it was increasingly difficult for dealers to find financing on the money market, leading to the failure of Lehman Brothers.